Happy new year, Phil . Sounds like busy times indeed, all the best for the new job! I am commuting 2 hours each day and most work I do happens in that time. Due to the regular rhythm of the commuting I get a very structured work schedule for IB. It sounds unintuitive, but I think that the forced commute situation focuses me better than 2 free hours would (or so I like to think). 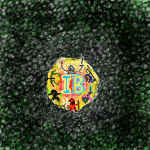 IBbasic is wonderful - ideally I would like to build in the same campaign universe for IB and IBBasic one fine day. Wish more time was at hand. Good to hear,! Yeah I though the commute would be a nightmare, but with my headphones on I'm finding it quite relaxing to sit down and noodle around on my phone. I might actually get something done for once! Happy Birthday, Jer ! I am wishing you all the best of the world for your new year, may you be showered in yammy food, addictive games, fanciest drinks and love of all over the place!